The U.S. Army has a new aviation modernization plan: It's back to the future. Indeed, the RAH-66 Comanche is gone, but the AH-64 Apache is very much alive. Ditto the CH-47 Chinook and the UH-60 Black Hawk. And we may not have seen the last of the UH-1 Huey. That old bird may yet have new life! Certainly, prospects are good for the MH-6 Little Bird. The OH-58D Kiowa Warrior is slated for retirement, but who knows? This ancient workhorse may schlep-and SLEP-its way forward yet again! As the head of the Army's latest aviation task force, Maj. Gen. James D. Thurman, put it, "We've got to get more out of these aircraft." What's remarkable about this latest restructuring is its similarity to previous attempts to modernize Army aviation. "If you take the past 25 years, we have done seven major aviation studies," Thurman said. "It's time to quit studying aviation and get on with what we say we've got to do." War being the crucible of necessity, that finally may be happening. That's because the single most costly item in the Army aviation budget, Comanche, has been scrapped. The February 23 decision has been coupled with a host of new aviation modernization initiatives. Needless to say, these initiatives have thrown the helicopter industry and the Army into a tizzy. 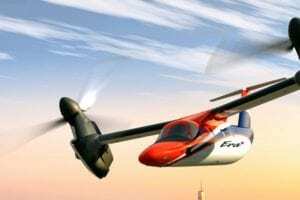 "This is huge," explained Mark Gibson, Bell Helicopter Textron's analyst for future systems. "These are the first new programs that the Army's had in years. Opportunities like this just don't come around very often." 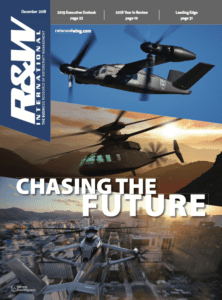 "This is probably the most exciting time for the helicopter industry in recent memory," added Stephan Moss, President of AgustaWestland Inc., North America. "Donald Rumsfeld strikes again!" exclaimed Alan Neugebauer, MD Helicopters' director of government relations. Here's what happened: Rumsfeld fired the Army's previous chief of staff, Gen. Eric K. Shinseki, and replaced him with Gen. Peter J. Schoomaker. Rumsfeld was perturbed at the slow pace of Army modernization. 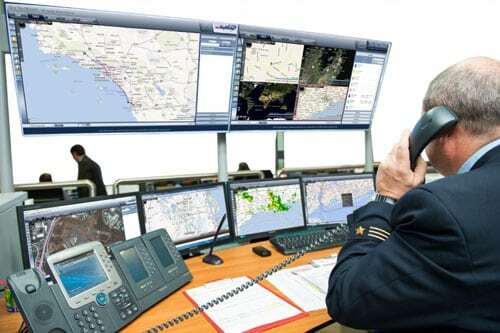 He wanted a chief who would shake up the service and make it more flexible and adaptable. As the former head of the U.S. Special Operations Command, Schoomaker fit the bill. So Rumsfeld brought him out of retirement last August and tasked him with transforming the Army-now. Schoomaker initiated comprehensive reviews of virtually all major Army programs. Many of his predecessors had done that, too, of course, but to little effect. They promised change but usually proved unwilling or unable to exert their will over the service's hidebound bureaucracy. That's why Schoomaker's decision to scrap Comanche blindsided the helicopter industry. 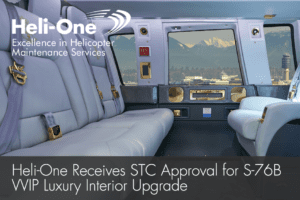 As Patrick M. Shanahan, Boeing's vice president for rotorcraft development observed: "We knew they were reviewing the program, but did we expect they'd cancel it altogether?" He shook his head. No, they did not. Boeing and Sikorsky, the companies that co-produced Comanche, have accepted the program's demise. "We will be supporting the Army's decision and we will be supporting their new requirements to the best of our ability," said Paul W. Martin, Sikorsky's senior vice president for government and advanced development programs. Schoomaker insisted the decision came from within and was not forced upon the service. "This is an Army initiative, [which] results from our studies, and it is about fixing Army aviation for the future-for today and for tomorrow-not just about terminating Comanche," he said. Numerous current and former Army officials and contractors said the decision frees up money for the Army to implement things recommended in several aviation reviews but never funded. They never got funded in large part because Comanche was consuming 40 percent of the Army's aviation budget. Neglected were things like countermeasures and aircraft survivability equipment (ASE), a light utility helicopter, unmanned aerial vehicles, fly-by-wire flight control, and National Guard and Reserve aircraft. The Army could skirt these issues in peacetime. But war forced its hand. With ongoing operations in Iraq and Afghanistan, the Army has urgent unfulfilled aviation requirements. The service's most pressing need is for new countermeasure systems to neutralize the ubiquitous threat posed by rocket-propelled grenades, shoulder-fired missiles and man-portable air-defense systems, all of which are growing in sophistication and lethality. "We've had nine confirmed helicopters shot down with the loss of 32 lives" in Iraq and Afghanistan, said Lt. Gen. Richard A. Cody, the Army's deputy chief of staff for operations. Brig. Gen. E.J. Sinclair, commander of the Army Aviation Training Center, said that, as a commander, he could not see putting the Comanche in a combat environment like Iraq. "It does not have active aircraft survivability equipment," Sinclair said. The Comanche has "a lot great technology for a low observable radar threat, but the threat we're facing right now it's not prepared for." The Army may regret canceling Comanche in 2015 or 2020 if radar threats emerge from more advanced and menacing militaries. (China is the most obvious, oft-cited potential threat). The service, though, simply does not have the luxury of bypassing existing technology and ignoring current threats while waiting another 20 years for Comanche. But that's essentially what the Army has done. 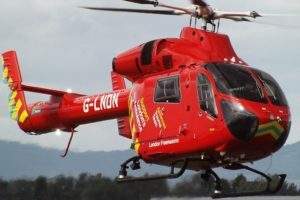 The requirement for a light utility helicopter, for instance, has existed since 1996. However, it's never been funded, Sinclair said. Similarly, the Army formally acknowledged that it required more advanced countermeasures and aircraft survivability equipment in 1995, when it awarded an engineering, manufacturing and development (EMD) contract to BAE systems. The contract mandated development of a new AN/ALQ-212(V) directional infrared countermeasure (IRCM) suite. This advanced tactical infrared countermeasure suite and common missile warning system (ATIRCM/CMWS) would neutralize more sophisticated and increasingly ubiquitous missile threats. Yet, Sinclair admitted, the Army budgeted no funds for aircraft survivability equipment in Fiscal 2003, 2004 or 2005. That's since changed. New countermeasure systems are now the "number-one priority for Army aviation and for the senior [Army] leadership," he said. AH-64D Apache Longbow: Apache Block-III upgrades have been in the works for years but risked being delayed two years because of a lack of funds, according to Brig. Gen. Mike Burke (Ret. ), Boeing's director for Apache business development. Block-III upgrades now will be accelerated, as will a fly-by-wire retrofit. Fly-by-wire had been planned as part of the Block-IV upgrade, but now will be included in Block III, which is slated for Fiscal 2007, Burke said. The Apache recapitalization line now turns Army AH-64As to AH-64D Block-II Longbow Apaches at six aircraft per month. Under current plans, that ends in August 2006 after 284 Block-I and 217 Block-II AH-64Ds. However, the Comanche cancellation made a yet-to-be-funded Block-III modernization near certain. Notional plans call for all 501 Block-I and -II AH-64Ds to go through the factory again to standardize the active Army fleet on Block-III Longbow Apaches. (An AH-64E designation is not yet approved). Army wishes to standardize active, Reserve, and Guard aviation might also modernize 200 National Guard AH-64As. Starting around October 2007, Block-III modernization can give the Apache a 3,400-shp. transmission lighter than the current, 2,856-shp. main gearbox. 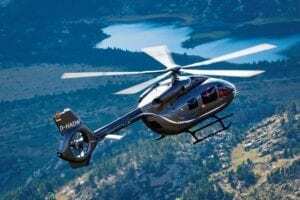 Block III will introduce the durable new General Electric T700-GE-701D engine developed for the UH-60M Black Hawk, and it may productionize the all-composite main rotor now under test on the Apache. 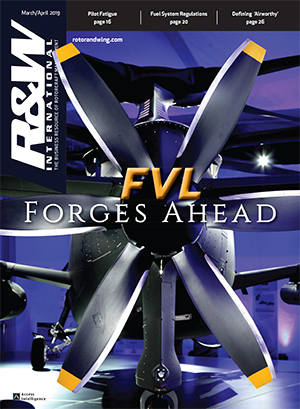 The cost-cutting rotor uses airfoils developed for the Bell-McDonnell Douglas SuperTeam Light Helicopter, and it may increase the payload of the Apache by 300-500 lb. Though work on a composite stabilator and aft fuselage has gone quiet, Apache engineers are looking at a Comanche-inspired composite tailrotor driveshaft. Block-II AH-64Ds now receive the Lockheed Martin Modernized Target Acquisition and Designation Sight and Pilot Night Vision Sensor (M-TADS/M-PNVS). Compared with first-generation forward-looking infrared technology, the new sensors give the Apache thermal imagers on a par with the Comanche. Block-II modernization also incorporates a new core mission processor that supports an open avionics architecture for a range of Comanche capabilities. The Block-III Apache may acquire Assisted Target Recognition with M-TADS imagery, digital connectivity with the Joint Tactical Radio System and Level IV control for UAVs. Health and usage monitoring systems, and interactive electronic technical manuals with powerful diagnostics and embedded training can help maintainers much like the Portable (Intelligent) Maintenance Aid meant for the Comanche. 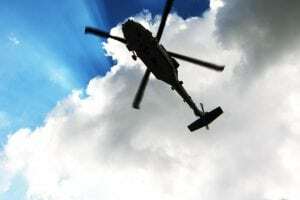 The new Apache core processor has excess capacity to run the Cognitive Decision Aids (CDAs) demonstrated in the Rotorcraft Pilots Associate (RPA) program. A Tactics Expert function planned for the Comanche may guide Apache crews around air defenses. RPA also provided the foundation of fly-by-wire flight controls that would reduce pilot workload and provide auto-hover and auto-landing functions to overcome dangerous desert brownouts. Triply redundant FBW would eliminate the troublesome Back-Up Control System from the Block-III Apache, and support CDA-enhanced flight control functions. Eliminating mechanical flight controls also makes it easier to seal and overpressure the Apache cockpit for chemical, biological and radiological protection. While little can be done to reduce the radar cross-section of the AH-64, Block III offers a chance to improve aircraft survivability equipment. The BAE ALQ-212 advanced threat infrared countermeasures system going on Block-II aircraft may interface with advanced missile warning receivers and countermeasures dispensers, and the ITT ALQ-211 Suite of Integrated Radio Frequency Countermeasures for radar threats. CH-47 Chinook: The Army intends to use some displaced Comanche money to procure at least 20 new CH-47s and 19 upgraded F-model Chinooks. This, in turn, would enable the Army to transfer 24 CH-47s from the conventional Army to the widely deployed 160th Special Operations Aviation Regiment, service officials said. The Chinook is a 40-year-old helicopter. Yet, Sinclair noted, it is the "most high-demand asset in Army aviation." Continual upgrades throughout the years have kept the aircraft viable; and the Army recently announced plans to increase its CH-47 fleet by 50 helicopters, for a total of 516 Chinooks. UH-60 Black Hawk: The Army will be procuring 80 new Black Hawks now that Comanche is gone. Half of these aircraft would be UH-60Ls. Half would be UH-60Ms. These orders are in addition to the 101 Black Hawks that the Army had planned for the Fiscal 2006-11 period, Sinclair said. UAVs: The Army has decided to procure Northrop Grumman's RQ-8B Fire Scout UAV for Class-III and IV units. Class-III UAVs would be attached to battalions. Class-IV UAVs would be assigned to the brigade commander. The Fire Scout is a basic Schweizer 333 model helicopter with state-of-the-art avionics and flight-control software. The 333 entered service in 2001 and is the offspring of the 12-year-old Schweizer 330 model helicopter. Like everything else in Army aviation, the 333 has been around for some time; it typifies the service's embrace of old aircraft for new purposes. Interservice Procurements: The Fire Scout also reflects the Army's embrace of joint, inter-service programs and procurements. The RQ-8A/B, after all, was first procured by the Navy. UAVs are one of several joint development programs planned by the Army. "Our long-term goal is to have joint programs," Sinclair said. For attack and recon missions, the Army envisions a joint multi-role helicopter, and a joint, long-term UAV strategy. "We're looking at a replacement aircraft for the joint heavy-lift capability" needed in the 2025 timeframe, he said. Joint Heavy-Lift Rotorcraft: The Army actually would prefer to field a new heavy-lift aircraft by 2012, so that it can ferry its 20-ton Future Combat System throughout the battlefield. FCS is slated to enter service in 2012. Funding constraints, competing priorities and technological challenges make such an early procurement unlikely. But now, Sinclair noted, the Army can fund in earnest development of a joint heavy-lift rotorcraft. 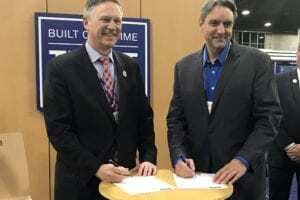 But first the Pentagon must provide the science and technology funding necessary for such an ambitious undertaking, said Rhett Flater, Executive Director, American Helicopter Society. Industry is urging the Pentagon to commit to $2 billion in such funding over the next five years. Light Utility Helicopter: Most of these 303 new helicopters would be sent to the Guard and Reserve for homeland defense and drug interdiction missions. However, up to 100 may be sent to the active Army to succeed the pricey Black Hawk on light utility/executive transport missions. Kiowa Warrior and Armed Recon Helo: The Army expects to buy 368 helicopters (instead of the previously planned 650 Comanches) for niche reconnaissance missions that require a stealthy aircraft. 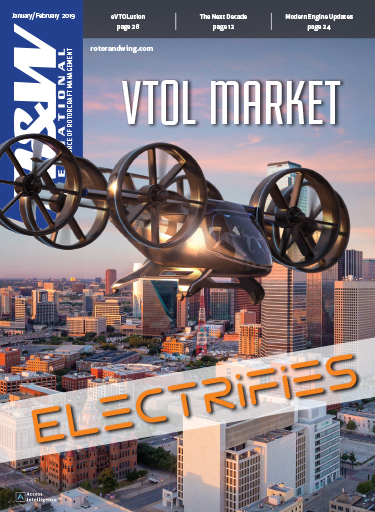 As with the light utility helicopter, the service is looking for commercial, off-the-shelf aircraft and technology. "We're not looking at a 25-year procurement," Sinclair said, but a three- to five-year program. "This is something we plan to do now." The Army's scout helicopter, the OH-58D Kiowa Warrior, has performed well in Iraq, with the highest readiness rate of any helicopter in theater. Still, the Army would like to divest itself of the aircraft. The Kiowa Warrior, the first of which was delivered to the Army in 1991, "has some weight, power and survivability problems," Sinclair said. In particular, it is too slow to keep pace with the Apaches with which it is teamed on recon and attack missions. However, don't count out the Kiowa Warrior. A service life extension program is possible and surely would include a serious upgrade to the aircraft, Bell's Gibson said. AH/MH-6: The 160th Special Operations Aviation Regiment flies two variants of the OH-6-the AH-6 for scout-attack missions and the MH-6 for insertion and extraction missions. The latest version is the Mission-Enhanced Little Bird. The AH-6 MELB "would work well" as the Army's new armed recon helo, Neugebauer said. However, the OH-6 would give the Army fleet-wide commonality, which, in turn, would help to reduce procurement, maintenance and support costs. This is especially important, because the 160th is being expanded from one to three regiments and thus is procuring about 100 new MELBs. It is too early to tell which helicopters will make the cut for that list. "Everything is on the table," said Claude Bolton Jr., assistant Army secretary for acquisition, logistics and technology. "We're throwing it back to industry to see what they have to offer." Industry proposals were due March 26 and have presented the Army with a panoply of options, including civil aircraft never employed for military purposes. The Army wants commercial, off-the-shelf helicopters because they have significantly lower operating, maintenance and support costs. It wants to move from three- to two-level maintenance to reduce its logistical tail and save money. Big potential winners from Comanche's demise include Bell, MD Helicopters and AgustaWestland. "We've pretty much been excluded from Army acquisition over the last 20, 25 years," Gibson said. "This is a unique opportunity for us to show the Army that we can help them with their aviation restructuring." "The near-term is critical," Neugebauer said, who is promoting MD Helicopters' Explorer for the light utility role. "We have the capacity to ramp up production and put these aircraft in service." 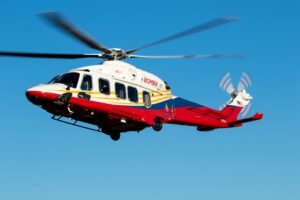 AgustaWestland is enthusiastic about its new prospects. "We presented the Army with the capabilities of the entire AgustaWestland product line," Moss said. Comanche's demise means less competition for Eurocopter's Tiger, but the company also is interested in teaming with Boeing or Sikorsky on a new heavy-lift helicopter, said Dominique Destelle, deputy vice president for strategy. "There is a need in Europe to equip our forces with very heavy lift," he said, "but such a program cannot be paid only by one or two European countries. Given our countries' budget constraints, we need to share the risk." Don't expect such a teaming arrangement any time soon-not in an election year in which the outsourcing of jobs to foreign countries has emerged as a major political issue. However, one thing's for sure: By scrapping Comanche, the Army has shuffled its aviation deck in ways that were previously unfathomable. Contributing Writer Frank Colucci provided material for this report.